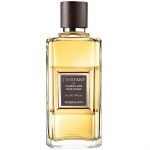 Guerlain L'Instant for Men aftershave is an interesting and sensual blend of icy cold masculine tones and warm exotic woods and spices. 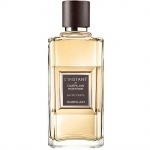 Guerlain L'Instant for men aftershave begins with fresh lemon and citrus notes, which mellow to reveal a heart of cool and spicy elemi and badian crystals. 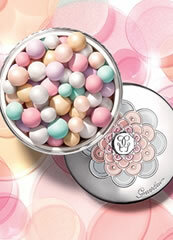 The unique quality of Guerlain L'Instant for men is the base of the fragrance, as it is comprised of a new interpretation of patchouli, sensual cedar wood and sandalwood, tempered with musky hibiscus seeds. 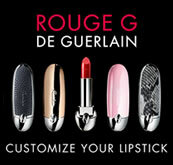 This gives a timeless and masculine quality to the fragrance. 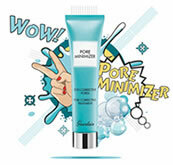 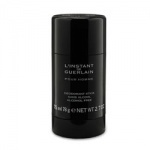 Guerlain L'Instant For Men Deodorant stick is gentle and effective.